Have you ever noticed the big part luck seems to play in your life? From early man to today, luck has been prayed for, played with, and courted. It sometimes brings awesome parking spots, a chance meeting with a new love interest, even the winning hand in poker. Where does luck come from? Does one need to be born lucky” to actually be lucky? Can anything be done to improve on one’s luck? Actually, there is! 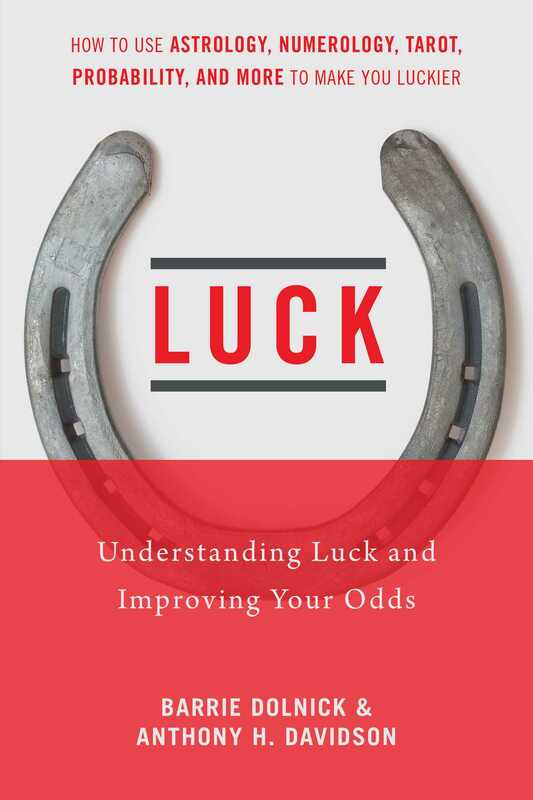 Authors Dolnick and Davidson investigate both ancient and modern scientific approaches to luck. You’ll learn how ancient practices such as I Ching, astrology, tarot, and numerology have been used by even the most learned scholars to understand luck. More importantly, once you understand luck, you can use the author’s exclusive Personal Luck Profile so that you can use the wisdom you’ve gathered and try your luck. From rabbits feet to four leaf clovers, people have done a lot of strange things to improve their luck, and now readers of Luck can make smart choices and informed decisions about how to work with theirs.